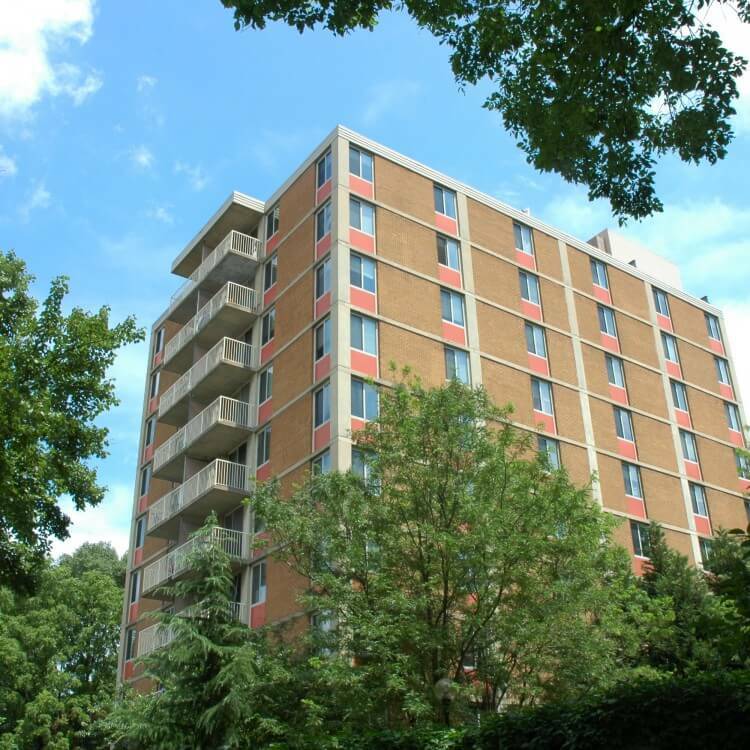 Enjoy high rise living at our Takoma Park apartments at Edinburgh House! The one and two bedroom apartments offer FREE utilities, gorgeous parquet flooring, abundant closet and storage space and wonderful views from the balcony. In addition to a refurbished Community Room, Edinburgh House offers an outdoor patio/play area, surface parking and a new laundry facility. No matter where you need to go, getting there is easy from Edinburgh House with a bus stop at the community entrance, the Takoma Park metro just steps away and Silver Spring and I-495 all within easy reach.